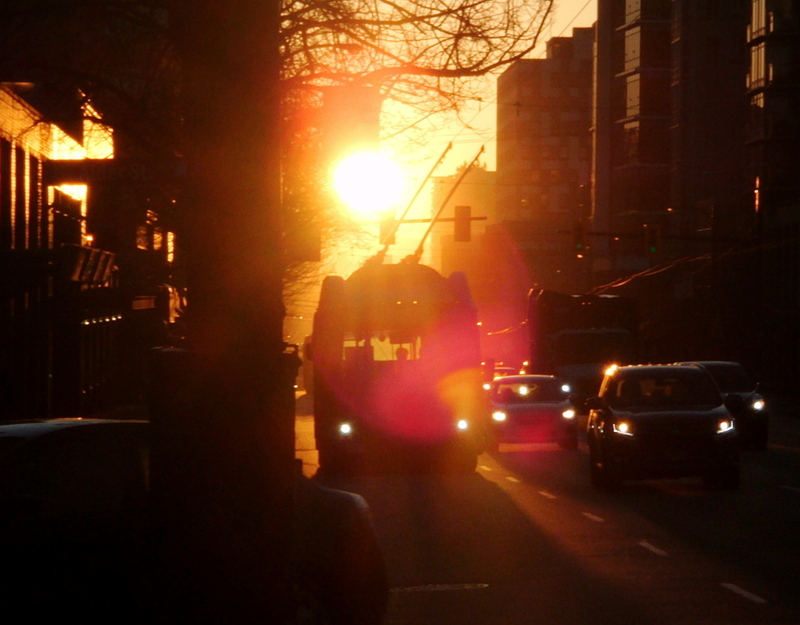 Dazzling sun-kissed view of a westbound, West Broadway Ave. trolley bus at 7:32 a.m.
Allusions to warm, honey-coloured sunrises will have to wait for the higher temperatures that will accompany first light a few weeks from now but I’m cool with that. 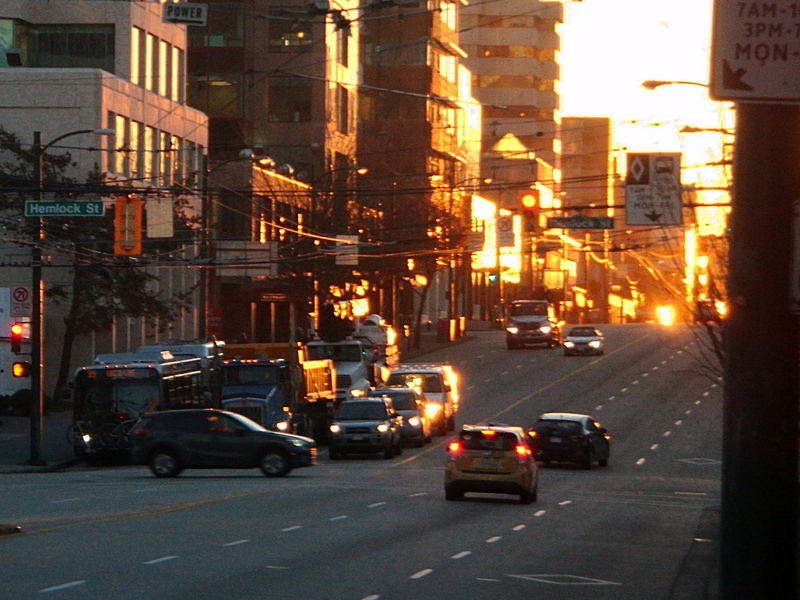 What I will say about early Tuesday morning (March 19th) in Vancouver’s Fairview neighbourhood is that it had the orange look and chill feel of a tangerine fresh from the refrigerator. And as such it was every bit as refreshing and welcome. Wiew from Hemlock St. of the orange light pouring down West Broadway Ave. at 7:39 a.m.
For whatever reason I took the beams of juicy orange sunlight as the signal that at long last—after the frustrating, false spring of late January and the friggin’ freezer of February—that the real thing (spring) had finally arrived, Click the images to enlarge them. 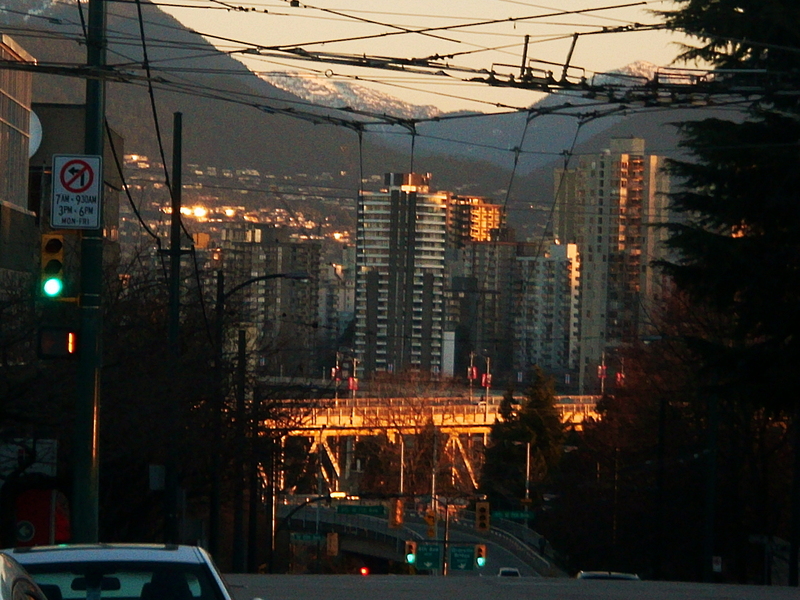 Looking north at the Granville Street Bridge from West Broadway and Hemlock at 7:39 a.m.